The winners of the 2018 Mariano Gago Ecsite Awards have just been announced at the Opening Ceremony of the Ecsite Annual Conference in Geneva by Sharon Ament, Chairperson of the Jury and Director of the Museum of London. 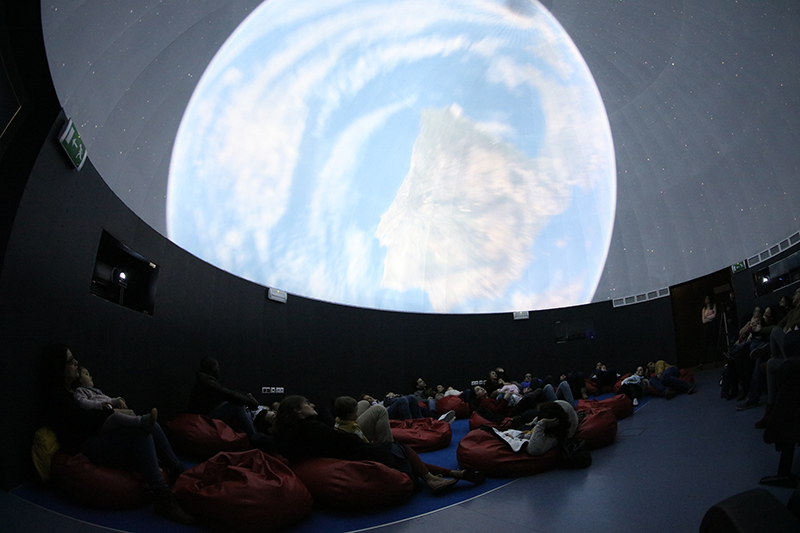 The Tycho Brahe Planetarium (Copenhagen, Denmark) won in the ‘Sustainable Success’ category for "Made in Space", an inclusive and engaging exhibition about astrophysics. 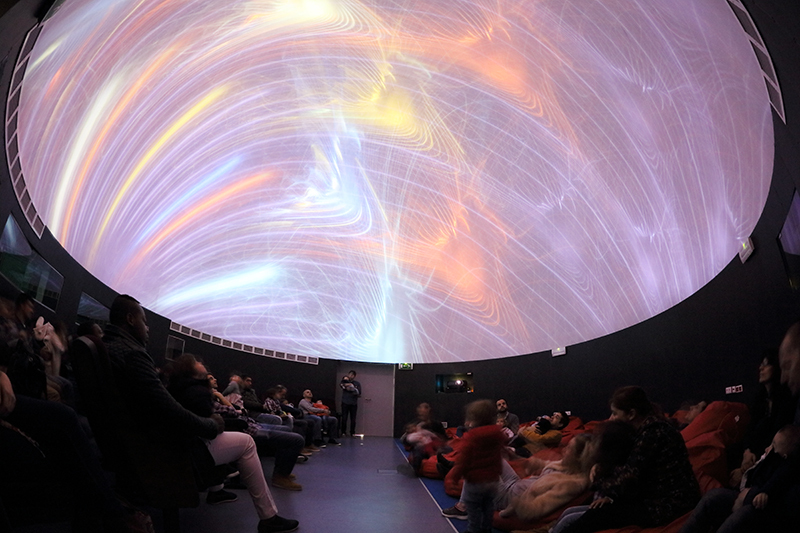 Exploratório – Ciência Viva Science Centre of Coimbra (Coimbra, Portugal) won in the ‘Smart and Simple’ category for "Astronomy for Babies", a fulldome movie for babies and their family. The Exploratório and Tycho Brahe Planetarium teams are invited to the 2018 Ecsite Directors Forum (14-16 November, Barcelona, Spain) where they will share their experience in a workshop they will run for their peers. A warm thank you to the LIP laboratory, generous contributor to the Mariano Gago Ecsite Awards. The Smart and Simple category celebrates simple, innovative and creative solutions in science engagement. It recognises the power of smart ideas that prompt a "I wish I had thought of that one!" reaction from other professionals. 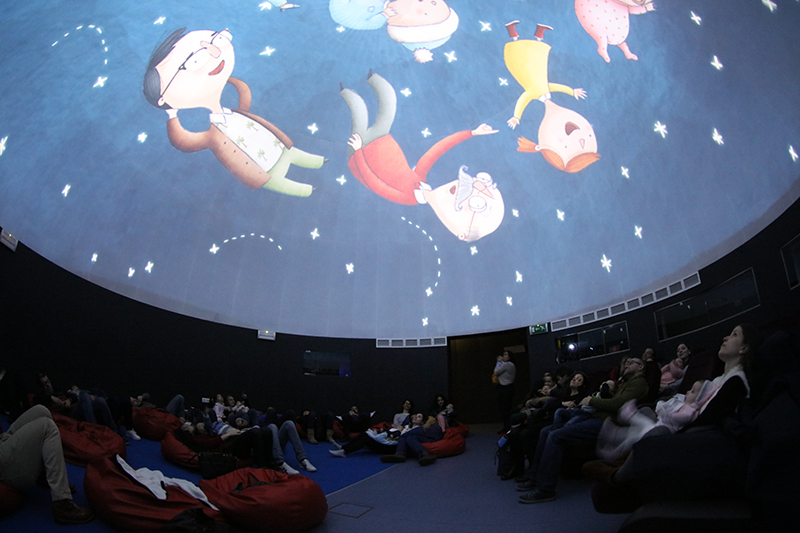 The idea for "Astronomy for Babies" came from observing the behaviour of babies who attended other film projections at the Exploratório with their older siblings or parents. They kept full awake, staring at the dome-shaped ceiling, amazed with all the images and sounds. The 23 minute movie was developed in house by the Exploratório team, with the help of a specialist in children psychology and a music PhD student and projections reached their operational speed in 2017. "Astronomy for Babies" promotes science engagement for very young children in a family context, creating a strong emotional link to science and arousing the interest, creativity and discovery of participants of all ages. "Your project made the Jury smile," said Sharon Ament, Chairperson of the Awards Jury, as Paulo Renato Trincão, President of the Exploratório's Direction Board stepped on stage to receive his prize. " The "Astronomy for Babies" project is exactly smart and simple," Amen continued, "doing something that apparently hasn't been done before but which seems obvious. The Jury liked that it started from carefully observing your visitors' behaviour during planetarium sessions and realising that there was a neglected audience in traditional planetarium programmes: babies. We liked the simplicity of the idea and execution, proving that planetarium productions needn't be multi-million euro projects. We hope that winning the Award will help you share your idea with other organisations." "We believe that science is for everyone, so, why leave babies out of our activities? "Astronomy for Babies – feel the cosmos in family' is the proof that all of us can enjoy science, even before starting to walk or to talk!," shared Paulo Renato Trincão as he received the award. More about the project: watch this video. The Sustainable Success category celebrates long-lasting impact: projects that embody the values of science engagement, that are visionary and socially relevant. 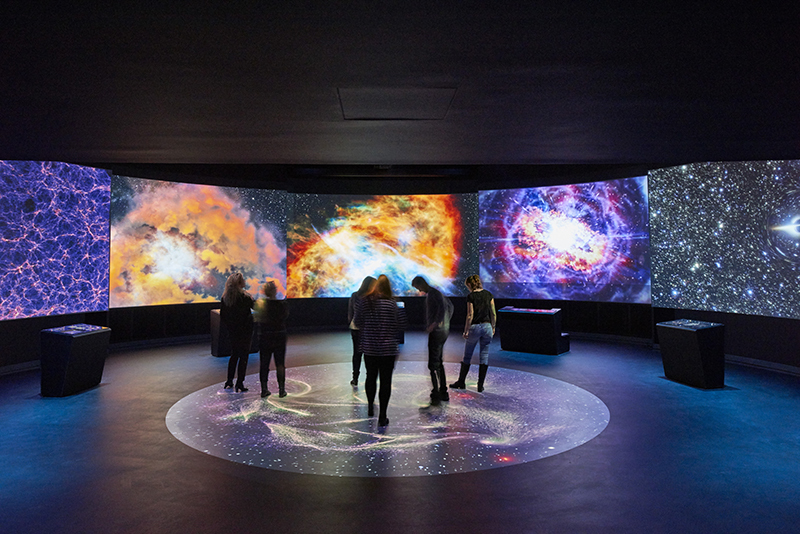 The Tycho Brahe Planetarium (Copenhagen, Denmark) won in the ‘Sustainable Success’ category for “Made in Space”, an inclusive and engaging exhibition about astrophysics. Opened to the public on 1 February 2018, "Made in Space" is a permanent exhibition that invites visitors to ask the question – what am I? To answer this question, they must go on a journey through the history of the Universe in search of the elements that make up life. The exhibition was designed with the aim of appealing to non-users of planetarias, often women and girls. PhD student Line Nicolaisen and supervisor Dr. Marianne Achiam from the University of Copenhagen helped shape the overall storytelling, the design of the entire exhibition space, the interactives, the graphics and the style of the exhibition text. 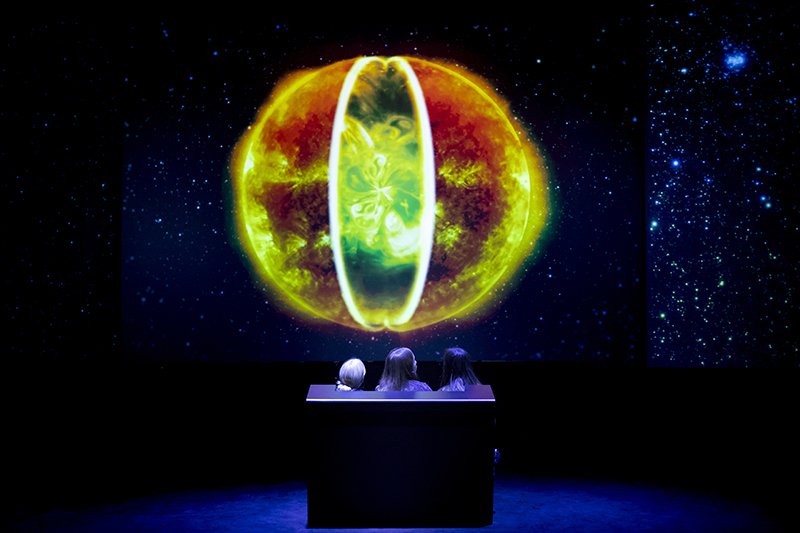 The Tycho Brahe Planetarium team collaborated with both researchers and non-users when creating the exhibition and hired a company that specialises in events and theatre to produce an exhibition with a strong focus on aesthetics. 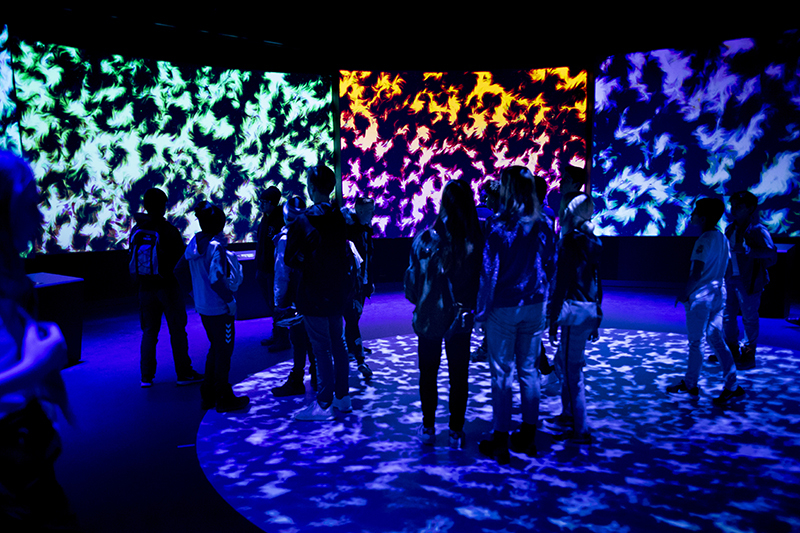 The resulting exhibition offers visitors a stunning experience and addresses the science of astrophysics in a new and inclusive way. "The Jury was impressed with the risk the Tycho Planetarium took," explained Sharon Ament, Chairperson of the Jury. "The Planetarium and its team went out of their comfort zone in choosing a non-traditional, personal angle for a permanent astronomy exhibition and in working with external designers with little science communication experience - but a great sense of aesthetics and emotional design." Inviting Head of Science and Outreach Tina Ibsen and CEO Mette Broksoe Thygesen to join her on stage, she continued: "You set yourself an important societal goal in making the exhibition appealing to audiences beyond your usual visitors, in particular to women and girls. The depth of the front-end research and work you undertook is truly remarkable. The institutional learning you made sure to consolidate and the lessons you are sharing with the science engagement field are ensuring your project's legacy and sustainability - and so will the impact it will be having on audiences in the coming years." "We are very happy and proud to receive the Mariano Gago Sustainable Success Award. In the development of the exhibition, we set out to create something new, something that would appeal to a more diverse group of people - and I think we have succeeded," stated Tina Ibsen, Head of Science and Outreach at Tycho Brahe Planetarium. "We believe that it is important for institutions like ours to do more to include more people in science. Receiving this award and support is a recognition that means a lot to us and we hope that it can lead the way for other institutions around the world," added Mette Broksoe Thygesen, CEO. More about the exhibition: check out this web page, watch this introduction video, this behind the scenes tour (both in English) and the exhibition trailer (in Danish). The awards are named after José Mariano Gago (1948 - 2015), a key figure of European science engagement. He was a founder of the Portuguese Ciência Viva network of science centres and an active contributor to Ecsite activities over the years. Open to all Ecsite members, they provide an incentive and reward whose prestige contributes to the development of excellence in science engagement. Find out more on the dedicated page. The Tycho Brahe Planetarium, established in 1989, is the centre for communication of astronomy and space in Denmark. We have several exhibitions about astronomy and space, and a broad range of activities within these scientific fields. We have a number of offers for students at all levels in our laboratory, dome theatre and exhibition area. Exploratório was the first interactive science center in Portugal, launched as a non-profit organization in 1995, under the initiative of the University of Coimbra and with financial support from the 1995 edition of the European Week of Science: a small interactive exhibition, a school contest involving schools from Portugal and Spain, an international conference, an art and science exhibition from Holland, all around the theme of Serendipity in Science.